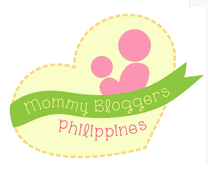 As a first time mom, I am very excited to see his milestones. I've seen his first step, run, jump, heard his first word, experienced his first solid food of course and now, I'm very excited about something bigger- schooling. Aside from the fact that I'm really excited about buying school supplies, I am very excited to see him flourish in his academics and support him in different school activities. Believe it or not, as early as know, I'm already canvassing through different schools and asking different parents their school recommendation. 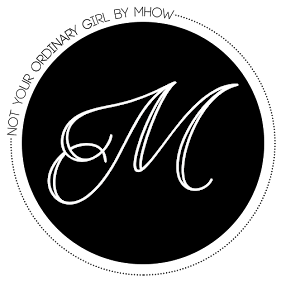 I must admit, I have a very limited knowledge when it comes to different learning approaches because I only studied in one school during my elementary and high school years that's why I the only know the traditional way of learning little did I know that there are non-traditional schools available. 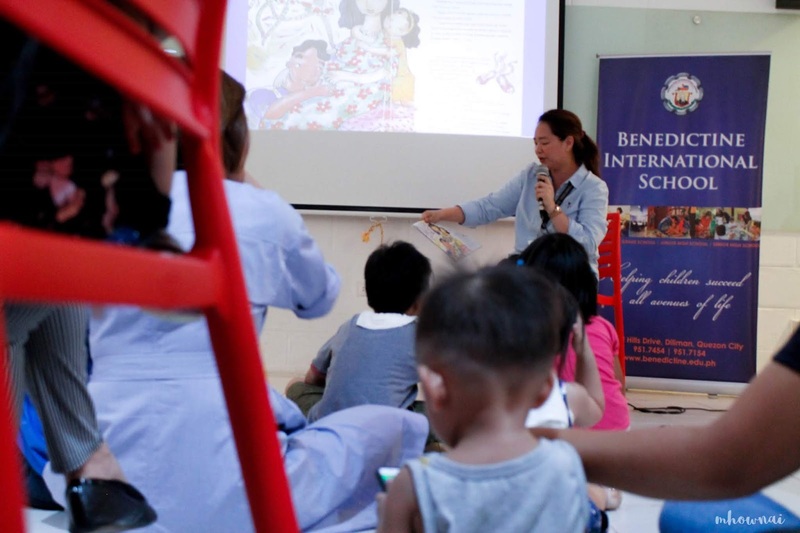 I was invited to one of the private school in Quezon City, Benedictine International School to learn about systems thinking which was one of the newest learning approaches in the country. Basically, this systems thinking school is training their students to see the bigger picture and how the parts of a system interact with each other, making each student more critical and emphatic as they make responsible choices with proper training and exposure to this way of thinking, individual increases his chance at personal success. Being one of the pioneer schools who cater to systems thinking, Benedictine International School worked hard for years to become a Systems Thinking School. Taking two core modules on helping school administrators and owners build systems thinking schools and immersing young children in systems thinking via Camp Connect. 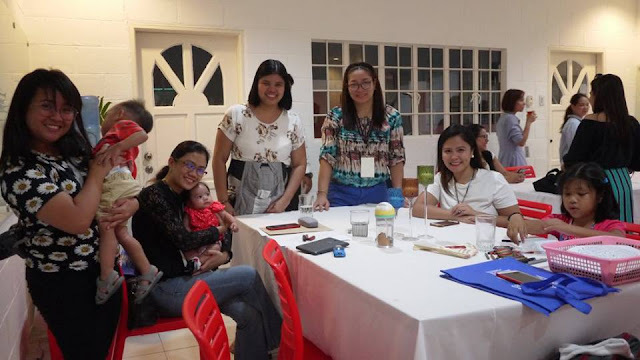 As one of the lucky mommy bloggers invited to experience what systems thinking is all about, we undergo different activities that would let us practice some of the habits of systems thinking. We were separated into three groups and each people from the group will say two facts and one lie about themselves and the other members had to guess which one was the lie. 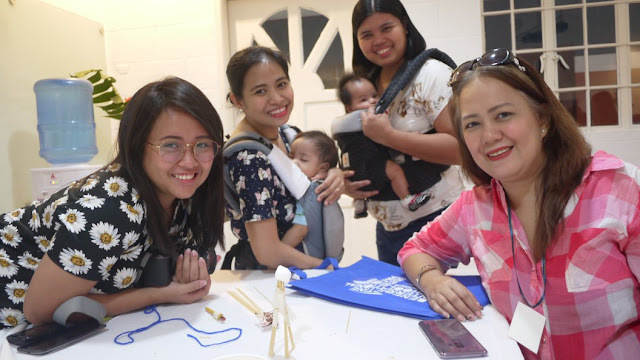 The three groups was given 20 pcs of uncooked pasta, a masking tabe, a yarn and also a marshmallow. The teams should create a tower using the pastas and bind them using either the yarn or masking tape and the marshmallow should be put on the top of the tower. What I've realized in the workshop is how this will eventually help the students in making decisions, thinking about the consequences of their actions which can be applied in real life situations and making them a responsible individual. Dealing with the emotion is one of the toughest challenges one could ever face, some may fall into depression and later on suicide. 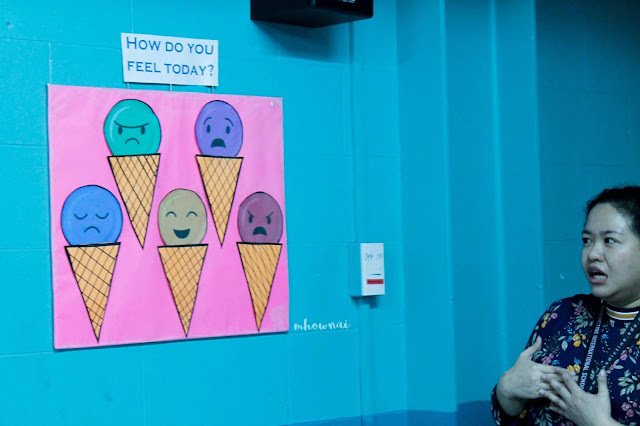 For BIS, it's important to know the emotional state of their students. 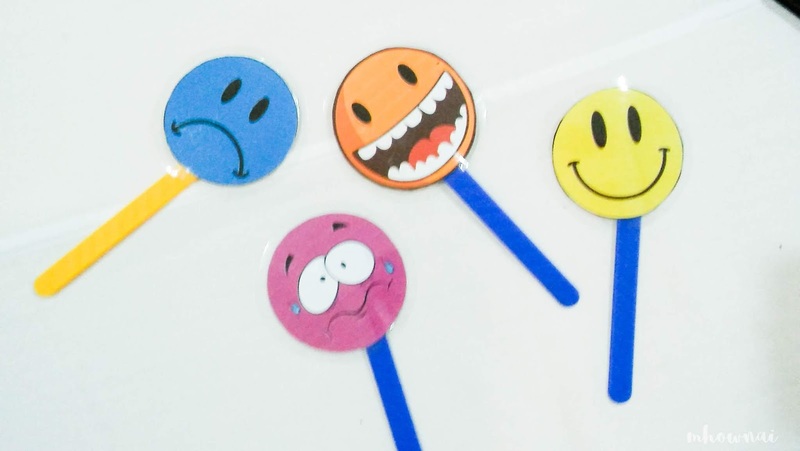 During opening activities, the teacher will ask the students how are they feeling using their 'mood meter' that shows different expressions (happy, sad, excited, mad and scared) in that way the teacher would know the emotional state of each student for them to adjust on how they will facilitate their class. Of course, the BIS didn't miss any chance to show us how interactive their approach to each student and showed us how to read aloud. 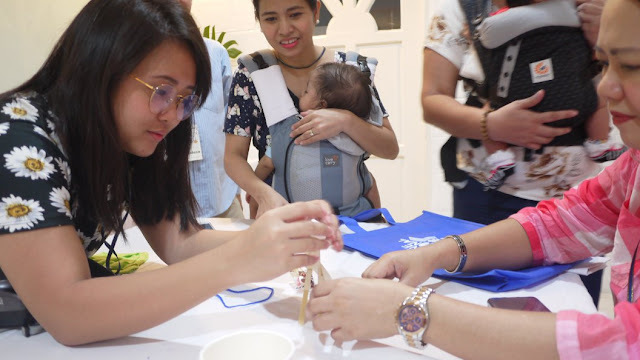 This activity is perfect for mothers with toddlers to bond, have fun and learn at the same time. 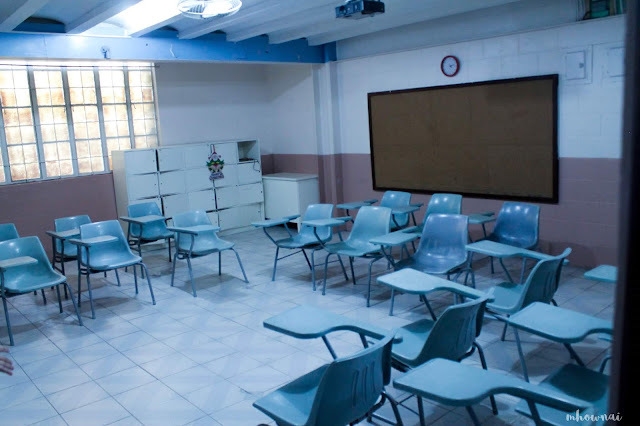 After the workshop, we were given a chance to see some of the facilities of the school. BIS's facilities are all equipped with LCD projectors and airconditioned. Their English Resource Center (ERC) is filled with a collection of Scholastica's books which all of the students would enjoy. 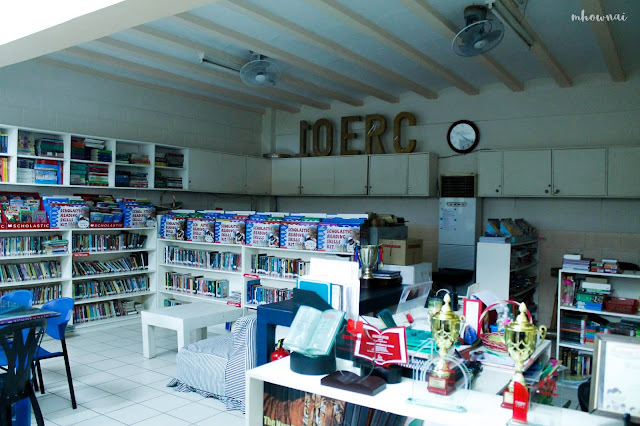 Their pre-elementary classrooms are very fun, bright and spacious, perfect for young ones who need to have enough time to work and learn at the same time. Furthermore, they cater to 15 students per classroom which are perfect for the teacher to close monitor the students. 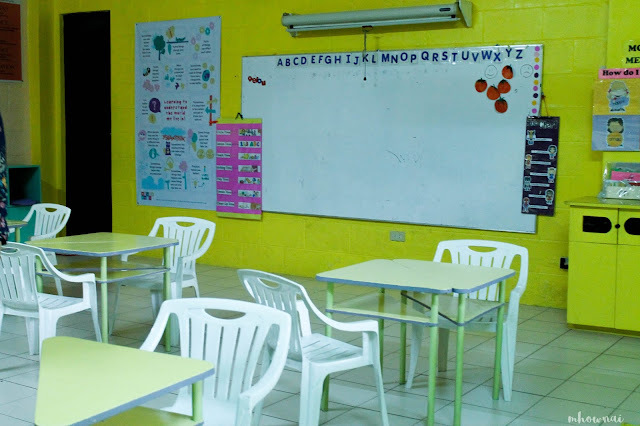 Their classroom seating arrangement is very versatile, they sometimes change the seat's position from time to time to encourage their students in an open communication and to maintain a bond between the students. Their playground is very perfect for children. It's also safe because it's still inside the school wherein the guards can be able to see them to avoid accidents. 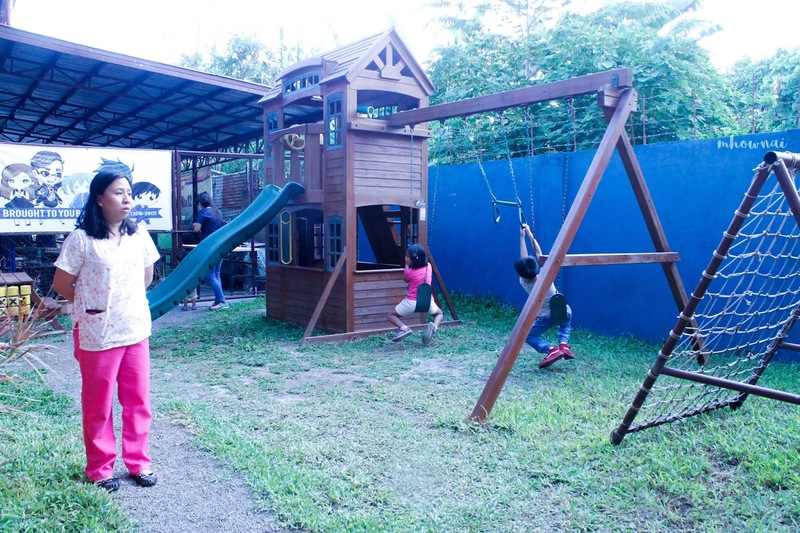 There is also a play area near the guard house wherein kids can play while waiting for their service. 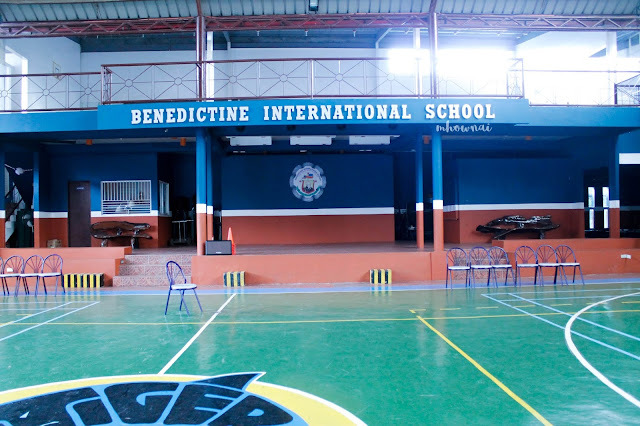 If you're interested to know about the Benedictine International School you may visit their website, www.benedictine.edu.ph, and Facebook page, www.facebook.com/BISphilippines. You may also send an email through inquiry@benedictine.edu.ph or call at (+632) 951-7454 or 951-7154.